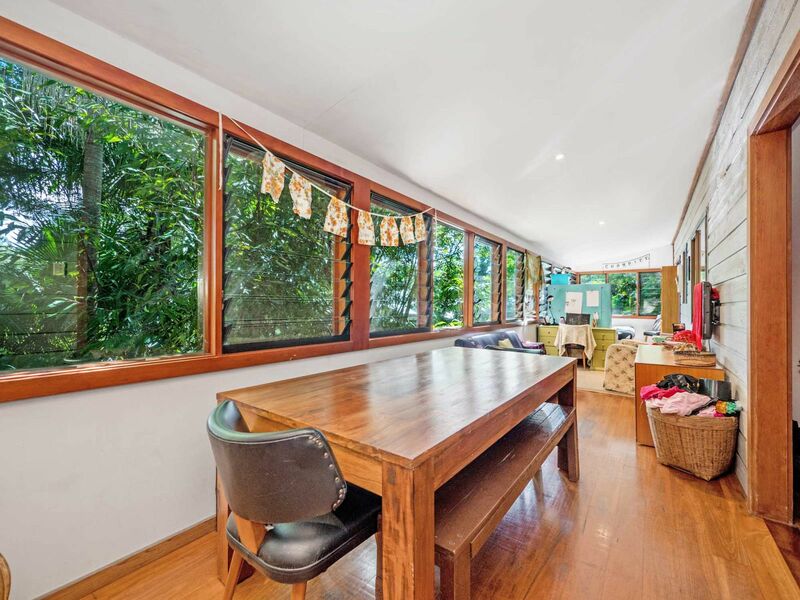 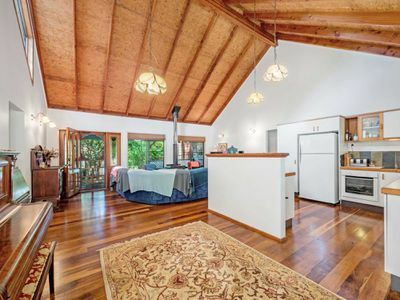 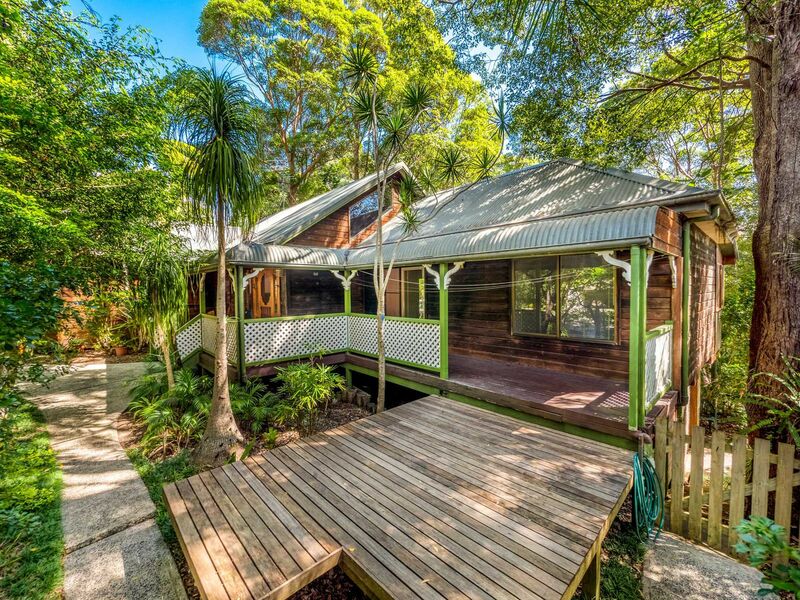 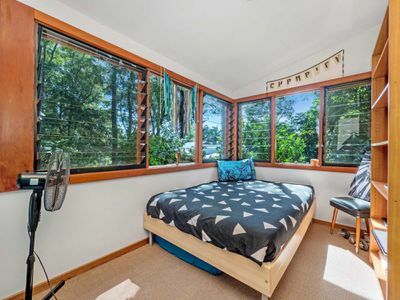 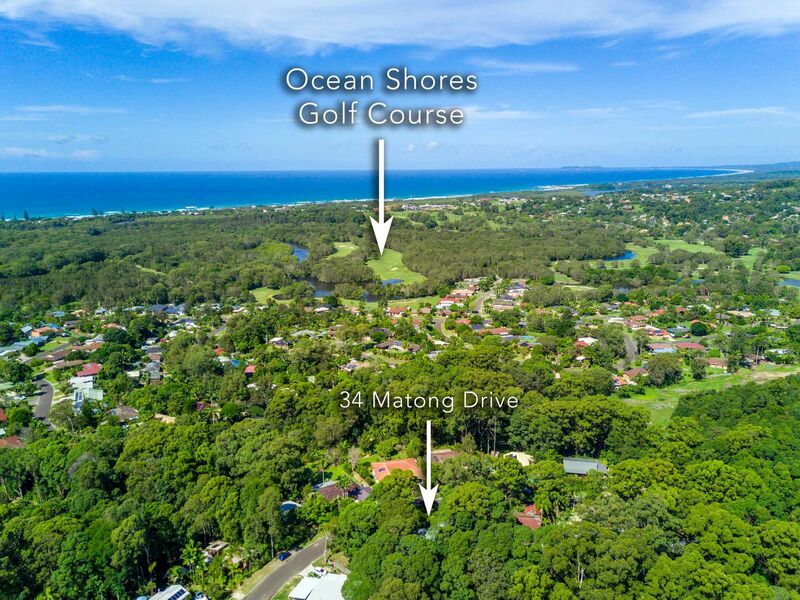 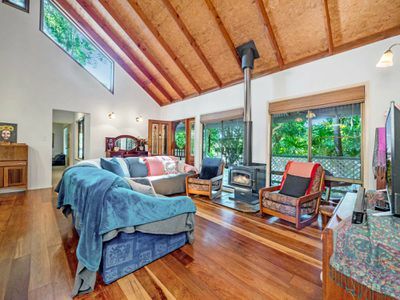 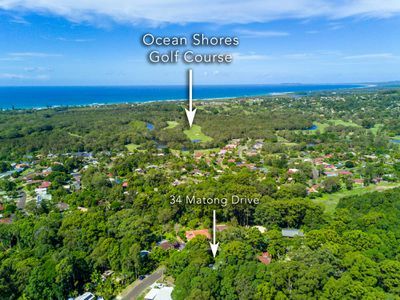 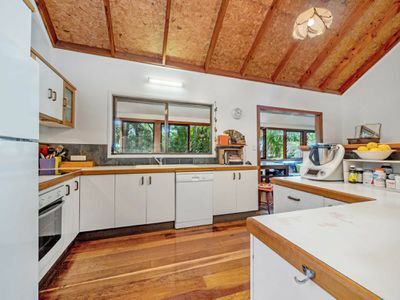 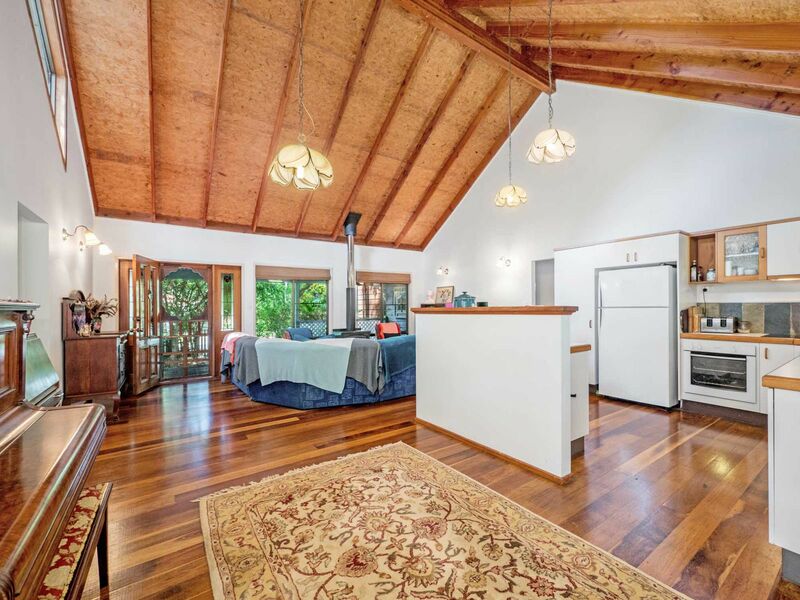 One of Ocean Shores' rare character timber Cedar homes perfectly suited to the very generous 1454m2 elevated bushland block with wide street frontage and inviting plenty of appeal for a 2nd dwelling (STCA) or just plenty of yard space to enjoy. 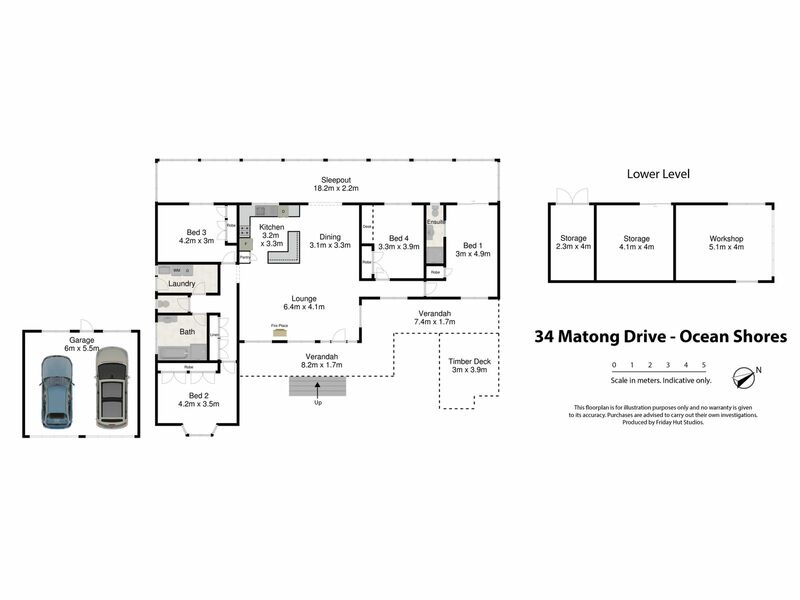 - Separate freestanding double lock up garage. 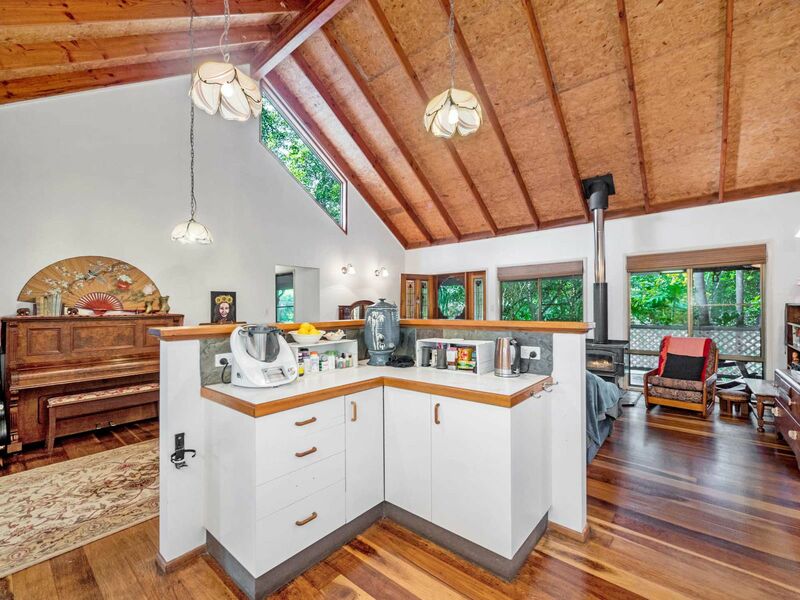 Step inside through the crafted stained glass entry cedar doors, to appreciate the wide polished timber floorboards and vaulted ceiling with exposed beams and north facing celerestory window into the open plan living, kitchen and dining area. 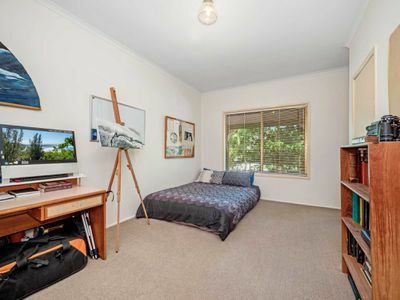 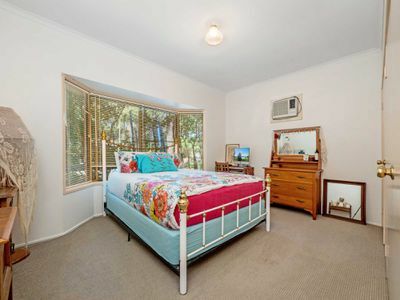 Complete with wood heater to enjoy cosy winter nights. Designed to offer open plan living flowing out onto large, full width sun room with Western Red cedar louvred windows. 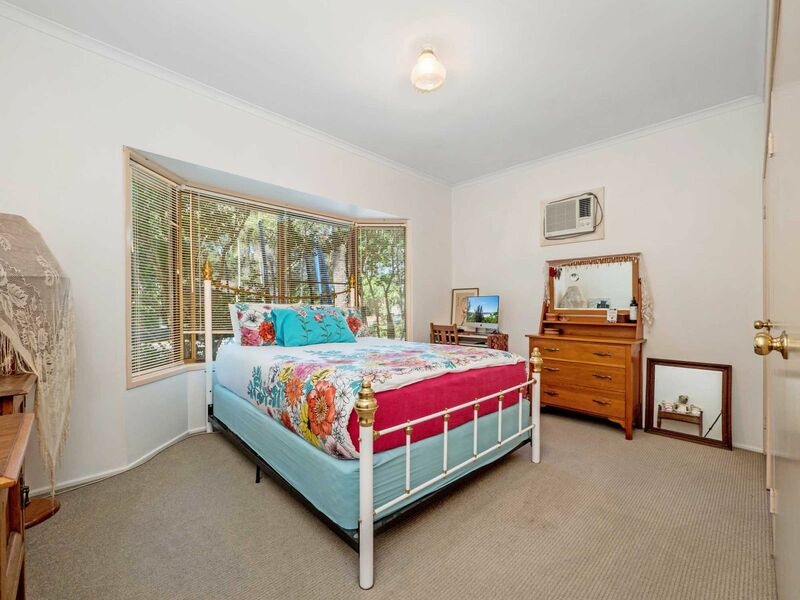 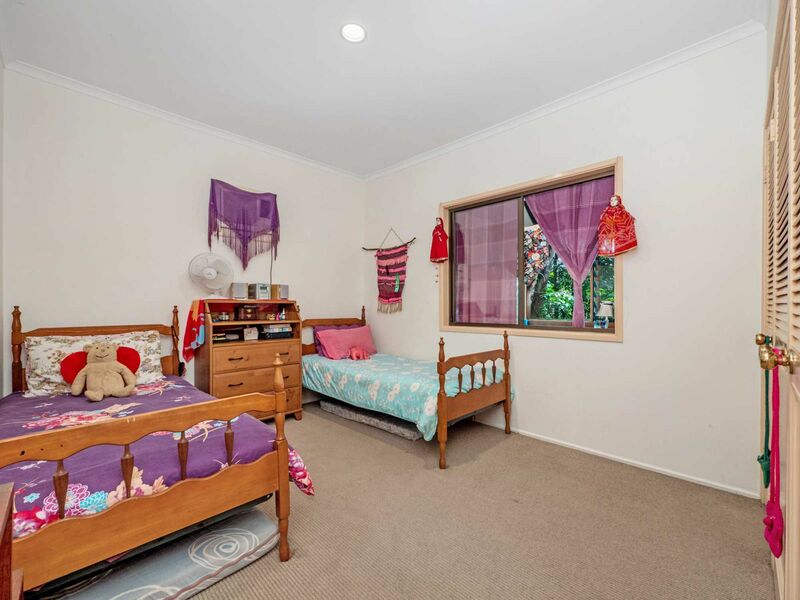 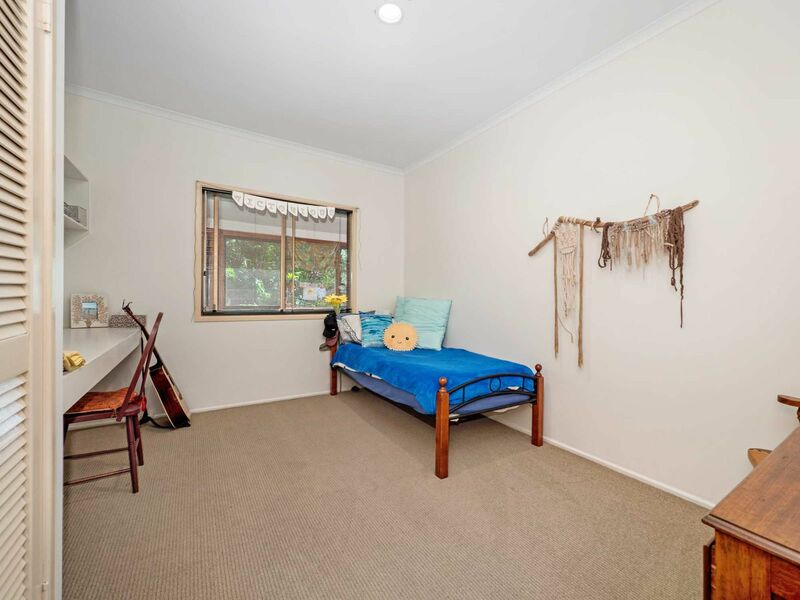 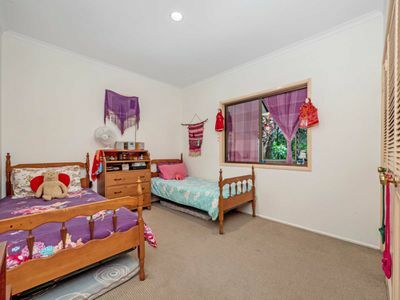 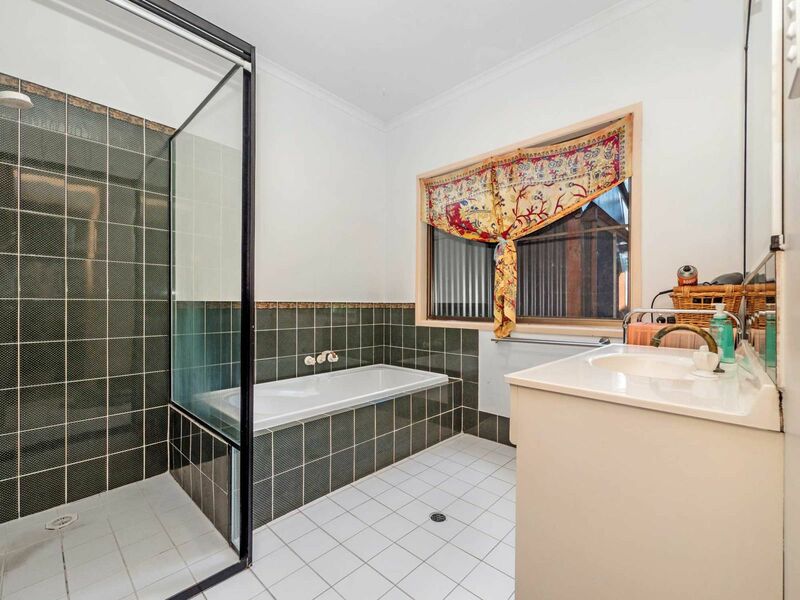 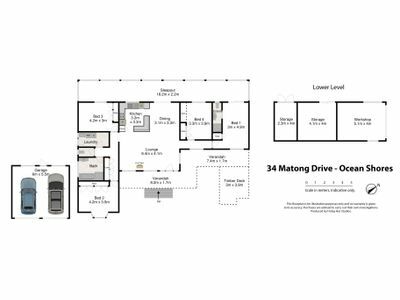 The house has been built with 2 bedrooms and bathroom at one end and another 2 bedrooms and bathroom at the other end, with living space in between, offering a very versatile layout. 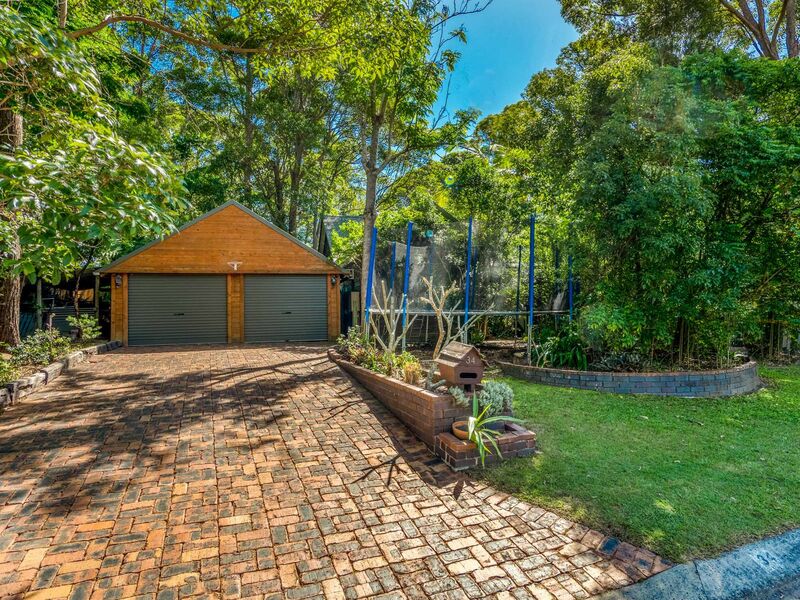 Separate freestanding double lock up timber garage. 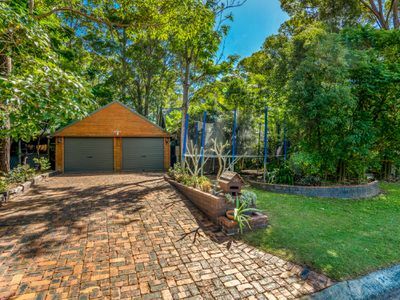 Lock up workshop and 2 storage rooms underneath the house. 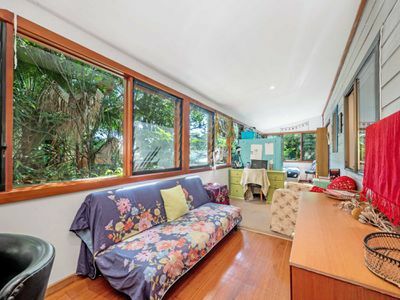 Bull nosed front verandah, plenty of internal storage, this classic home must be seen to be appreciated. Why wait?